With limited time to spend at CES after the informative Parks conference, I wanted to see what was being showcased in the Smart Home section at the mega event. It’s one thing to read all about the latest smart home offerings in the media or to see it on the web, but it’s so much more exciting to get to see them gathered together and to experience them in person. The volume of smart home exhibits and showcased technologies was amazing. Who knew I could track my pet’s activity and location, answer my doorbell when I was not at home, or have so many ways to manage different appliances and devices in my home that are designed to make my life more efficient and yet so attuned to my daily lifestyle habits? While it was fascinating, it seemed that a lot of companies were offering similar products and services (especially when it came to home security), but offered at different capabilities, on different networks, and using different standards. It made me wonder how a consumer ultimately makes the decision which option suits them best. While many of the smart home offerings were cool and innovative, I was struck how the majority are essentially stand-alone options today, working largely within their own ecosystem. While the smart home is in the early adopters phase, most consumers are not yet at a point where they are deliberately trying to build a blended, complex smart home environment that consists of different products and services. (The Demand Institute, for example, reported in November 2015 that only one in five U.S. households currently have a smart home product). A big question is how will all these different offerings will work together in the smart home as the market evolves in the coming years if they don’t all communicate and operate by the same standards? Most consumers won’t be thrilled to have to utilize a bunch of remotes to operate specific functions and devices around the house, but that is the outlook until the dust settles and the best networks, standards and hubs rise to the top and gain widespread adoption. Given Lynx Technology’s role and long history to enable interoperability of smart media devices in the connected home with our Twonky technology, I understand that interoperability is crucial. It seems at the moment, however, that most consumers have limited awareness or understanding of the role and importance of interoperability. As their understanding increases, consumers will want to be assured the product they are buying is going to be interoperable with other smart home products and services, and that everything will work seamlessly together without any headaches, hassles, or too many control points. 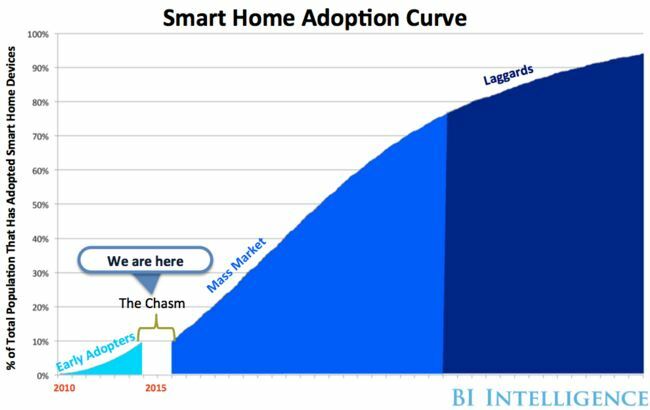 We will certainly be keeping an eye on how the smart home market evolves in the coming year and how the pace of consumer adoption progresses until CES 2017. It should be an exciting journey.